Carole B. Larkin is the Geriatric Care Manager for ThirdAge Services, specializing in all forms of dementia care. She has a Master of Applied Gerontology degree with a specialty in Aging Services from the University of North Texas. 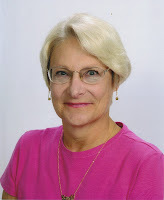 Carole trains home care companies, assisted living communities, memory care communities and nursing homes in dementia care techniques to enable a higher quality of life for persons with dementia and their families. She has training in mediation skills and works with eldercare attorneys resolving difficult family issues regarding dementia. Carole functions as the hub of the wheel of resources available to help families, and makes specific recommendations of the highest quality resources available at every price point, saving time and money for the families who secure her services. She is a member of the National Association of Geriatric Care Managers, the American Society on Aging, the Gerontological Society of America and Sigma Chi Omega, the national Gerontology Academic Honor and Professional Society. She has been a Care Manager for more than five years and has served older adults and their families for over two decades. Carole is also certified to train using the Virtual Dementia Tour experience. Editor Note: When I think of Carole I think -- all purpose dementia guide. Carole helps families and caregivers at every stage of Alzheimer's disease. This can be from day one, or when it becomes necessary to find a suitable Alzheimer's care facility for your loved one. She helps families that are feeling the "enormous stress" that often accompanies a diagnosis of probable Alzheimer's. Carole lived in the front row of Alzheimer's disease while caring for her mother. Click above to Listen. You can share or embed this Cinch Cast. You can reach Carol here. **Excerpted from an interview on Eugeria!